Call me cynical, but the moment Microsoft’s Windows 10™ free upgrade offer logo appeared in the bottom right hand corner of my monitor, my usually super reliable computer started playing up. Coincidence? So, after a frustrating week of crashes and malfunctions, I figured I had nothing to lose and clicked on the little logo which placed my computer on the free upgrade waiting list. Well, blow me down, the glitches magically stopped and my computer returned to its’ normal, reliable old self. Another coincidence! Now, I’m fairly certain that this wasn’t some devious Microsoft conspiracy plot; possibly. But, if I’ve learned anything from new Operating System (OS) rollouts, it’s this: Don’t be among the first to sign on, as there is a very good reason they call these things ‘trials’. 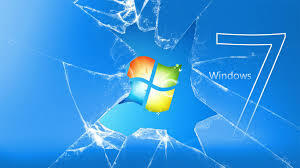 New OS users are the guinea pigs who quickly discover, usually in the worst possible way, exactly what the defects are. If my Windows’ experience is any guide, then learning to navigate the new operating system will be a real rollercoaster ride; the sort where vital sections of track mysteriously disappear without warning. Folks, the best time to sign up for the latest Windows offering is once the dust has settled on all the urgent upgrades and patches, and the hackers have finished having their fun. Trust me, I speak with the authority of someone whose marriage only just survived the Windows 95 OS rollout fiasco; let us never mention it again. In the meantime, I’m praying that my old system will continue to chug along until something better comes along, and perhaps that something will actually be Windows 10? Which goes to show that I’m not really a cynic, but an optimistic realist, i.e. : someone who hopes for the best, but plans for the worst. This entry was posted in On a Lighter Note... and tagged Upgrade, Windows 10, Windows 7. Bookmark the permalink.